The burden of a male conscientious objector’s decision to stand up for his beliefs and refuse to go to war did not fall solely on his shoulders. Wives, children, siblings and parents of conscientious objectors imprisoned for their stand were the targets of hostility and censure. Some wives and parents were sent white feathers, a symbol of cowardice, in the mail. Some families lost friends, or were rejected by institutions such as churches or sports groups. One child of an imprisoned conscientious objector was denied the top academic prize by his school because of his father’s refusal to go to war. Families struggled practically with the burden of the breadwinner being unable to work, making conscientious objection a costly choice beyond the obvious loss of freedom. Wives, often with little children, relied on the kindness of friends and colleagues to get through the long periods of husbands and fathers being held in detention camps. There was also the pressure that absence placed on relationships. Letters were censored, and phone calls were impossible. Because of the restrictions of the war, travel was extremely difficult. Few people had cars, and for those who did, petrol was rationed. Individuals could not travel more than 60 miles by train. To add to this burden, detention camps were often situated far away from major population centres, in places like the central North Island, and prisoners were moved around with no regard for where their families and relatives lived. Face to face visits were infrequent, and involved epic struggle. 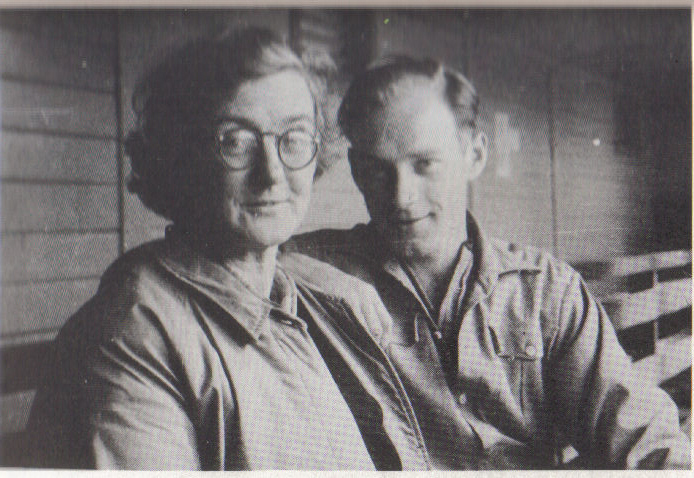 When Nancy Bay from Motueka went to see her fiancé Jack Willetts in Hautu Camp near Turangi, she would catch the steamer to Wellington, cycle to Wanganui, train to National Park, and then bike to the camp. Cycling was a common method of transportation, women banding together to make the long journeys from Wellington or Auckland. David Grant, Out in the Cold: Pacifists and Conscientious Objectors in New Zealand during World War II. Auckland: Reed Methuen, 1988. David Grant, A Question of Faith: A History of the New Zealand Christian Pacifist Society. Wellington: Philip Garside Publishing, 2004.